Contrary to popular belief, the Ford Mustang was not the first pony car. 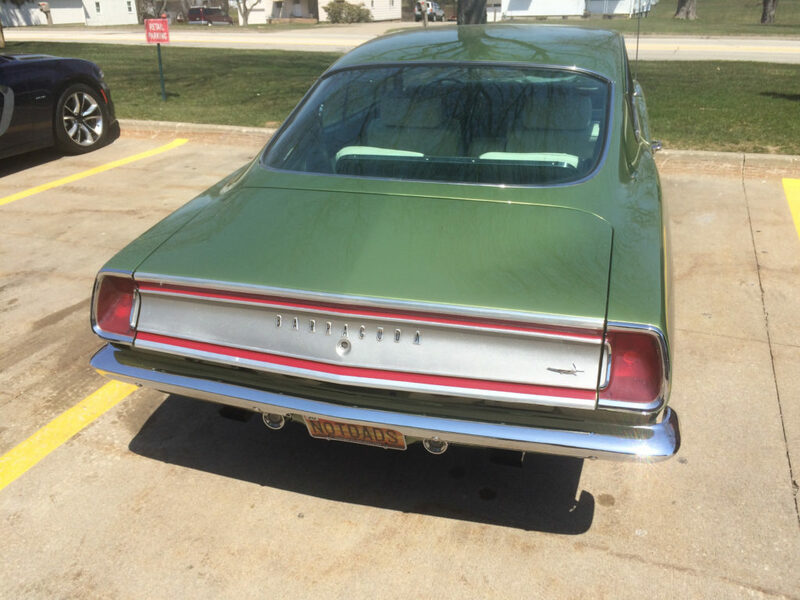 Nope, Plymouth actually launched the sporty affordable coupe segment with it’s Barracuda—a whole two weeks before Ford started prancing around with the Mustang in 1964. But while the Valiant-derived Barracuda won on the calendar, the Mustang won in the showroom, trouncing the Plymouth’s sales numbers while simultaneously defining the eponymous “pony” car market. 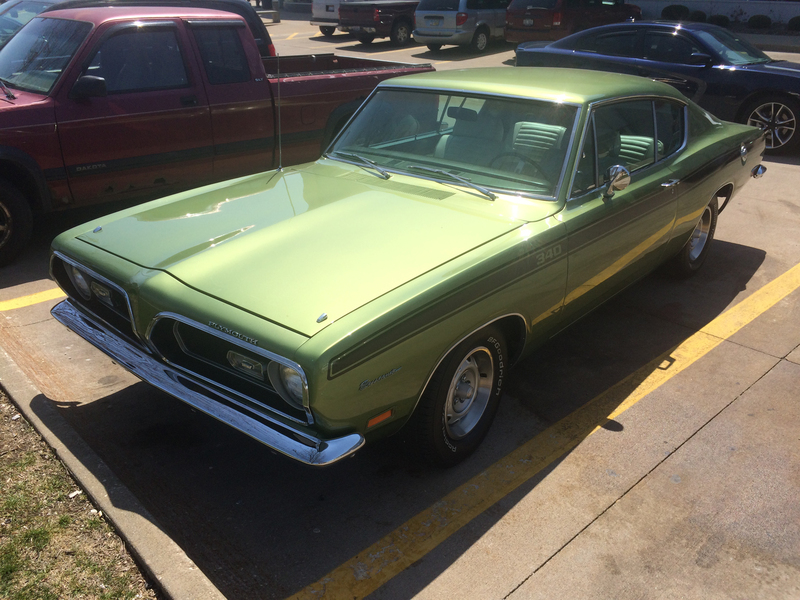 Undaunted, Plymouth upped the ante for the the Barracuda’s second generation (1967-69), further divesting the pony car from its staid family sedan origins. 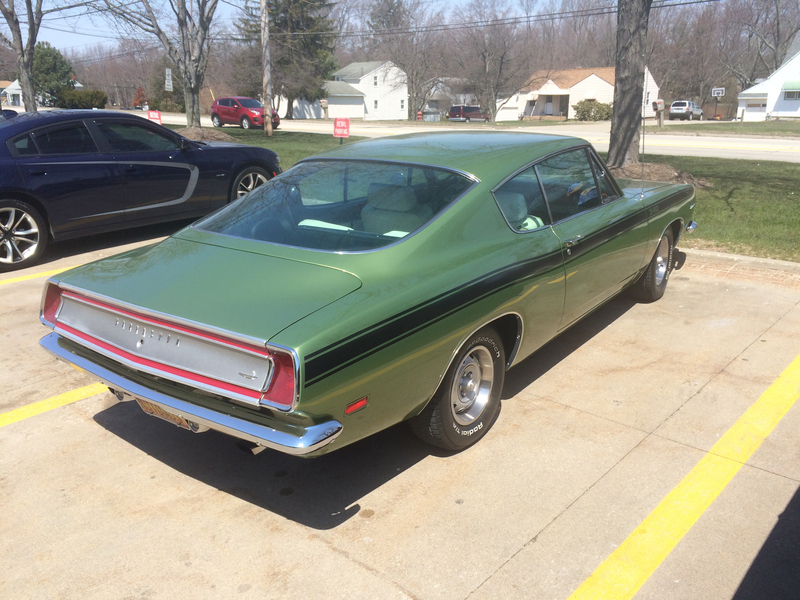 New “Coke bottle” styling, a trio of body styles (coupe, fastback, convertible), and a ground-pounding 383 Chrysler B-series big block honed the Barracuda’s muscle car image. Even with all those upgrades, the Barracuda still couldn’t capture the market share of the Mustang and the then-new Camaro; the Barracuda name would disappear entirely after 1974. 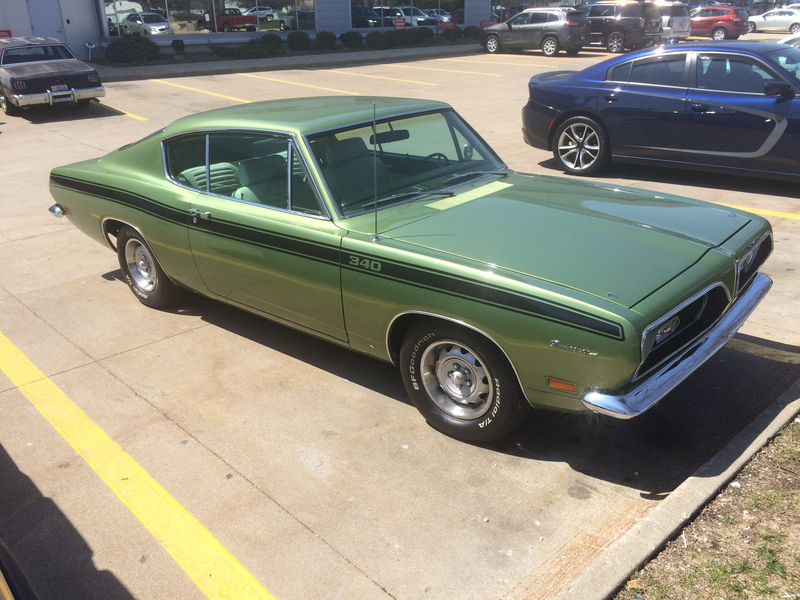 Since Barracudas tend to be more rare than other pony cars, we had to grab some Lot Shots of this one as it pulled into the Summit Racing retail store parking lot. Rectangular side marker lights are the easy giveaway that this is a 1969 model, which means that it could be optioned with the new 440 Super Commando V8. The stripe package tells us however, that this is a 340 car, which was good for 275 horsepower and a 1/4-mile time under 15 seconds. 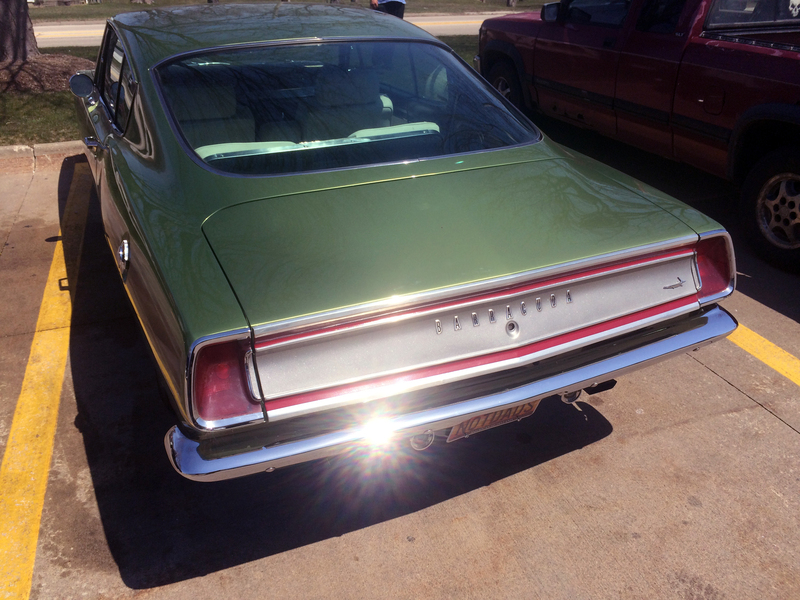 This particular Barracuda also has the fastback roofline, differentiating itself from the standard coupe. 1969 is a significant year in the Barracuda’s timeline, as it was the first time the name ‘Cuda officially appeared as a trim level. Though they never achieved the sales success of the Mustang or Camaro, the Barracuda (and it’s corporate cousin the Dodge Challenger) can command premium prices now–with later Hemi-equipped models easily dipping into six-figure territory. Not a 69 year. Possibly 67. 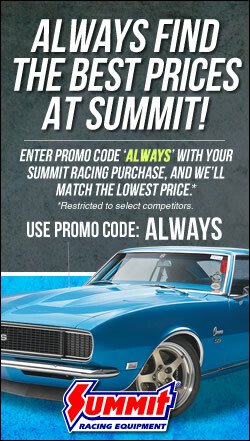 I remember sitting in a new one in 64 or 5 and really loving the 4 spd shifter. Not a 67. 67 had no marker lights 68 had round marker lights and 69 had square. 67 had none and 68 had round ones. 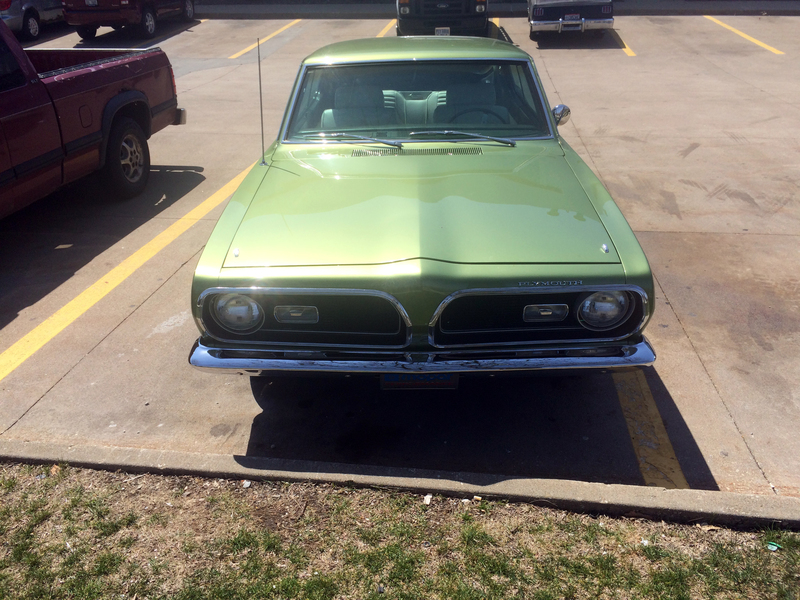 I thought the 70 AAR Cuda was the hot one,looking and running wise.